One of our favorite things to do on the weekends is load up the kids and head to a park, whether it be a few minutes away or somewhere downtown (20 minutes or so away) random fact: we actually live on a park, but because it’s so close, we basically live there & our kids get tired of the same ol thing. One of the places we frequent often is downtown Sacramento. There are so many cool coffee shops, random alley ways, parks, markets, boutiques… it’s a fun place to visit often as there’s always something new to be seen or do. We love strolling around downtown because it’s an outside activity and anything outside with three kids is a win in my book (I know you mama’s would whole heartedly second that). 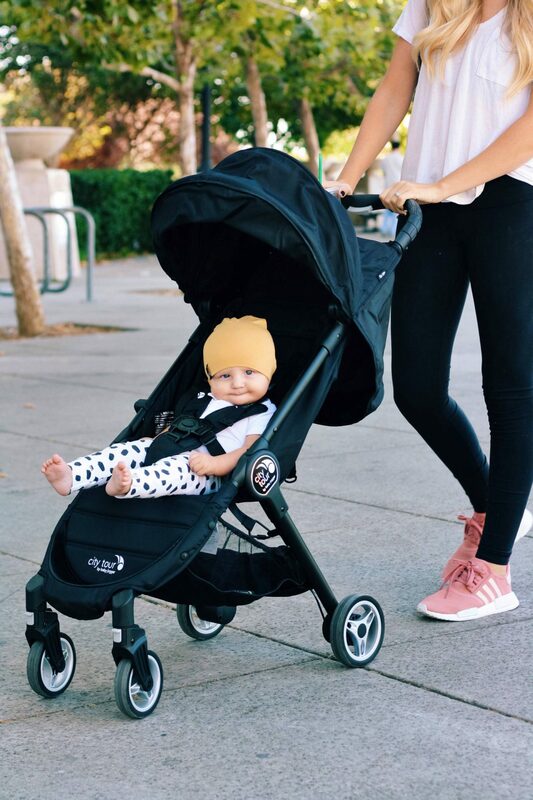 We recently learned of the new City Tour Baby Jogger and took Jude for a stroll for the first time a few weeks back. There’s a few things I’m very particular about when it comes to strollers. First is it’s ease in “strolling” you could say. If I feel like I’m getting a workout just by pushing it around, it’s out for me. The other is it’s ability to be easily stowed away. This stroller wins in both areas. It’s extremely easy to push. In fact, I was walking around drinking/holding coffee in one hand while pushing (easily) with the other. It can also collapse and be worn as a backpack if needed. 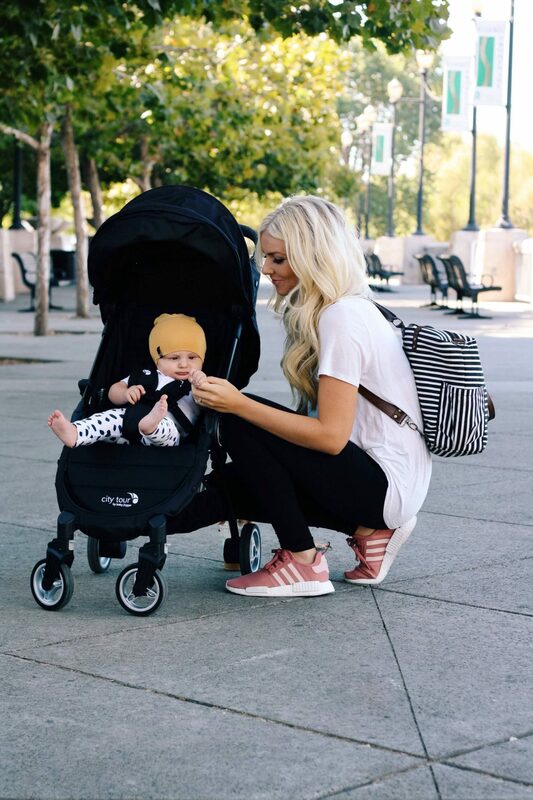 What are your favorite stroller routes?Head to BabyJogger.com for the full Best Places to Stroll Guide. This post was sponsored by Baby Jogger. All opinions are completely my own. Previous Post Sale, Sale, Sale! I have total hair envy!! I can’t get over how perfect your hair always is! Where did you find your shoes? I need those! So cute!! Hi Allie! Sorry for the late reply! I got them off of Ebay- they’re sold out almost everywhere so that’s going to be your best bet. They’re called NMD’s. Very cute baby, when i reach to my small 2 years daughter forgot whole day stress . Great post. It is very useful information. Thanks for sharing this post.